LONDON–(BUSINESS WIRE)–May 20, 2018– market research analysts forecast the to grow at a CAGR of over 9% during the period 2018-2022, according to their latest report. In this report, Technavio highlights the rising popularity of bio-based and natural LFTs as one of the key emerging trends in the global long fiber thermoplastics market. The major players in the market are concentrating on the development of bio-based and natural LFTs. The use of natural fibers such as glass provides cost advantages, renewability, density, recyclability, abrasiveness, and bio-degradability. Fiber-based LFTs are used for developing environment-friendly plastics that can be used in the automotive industry, the largest application segment. Kenaf plant is one of the major sources of raw materials for natural LFTs. The blend of natural kenaf bast fibers with polypropylene in the thermoplastics offers mechanical strength, recyclability, and thermal stability. 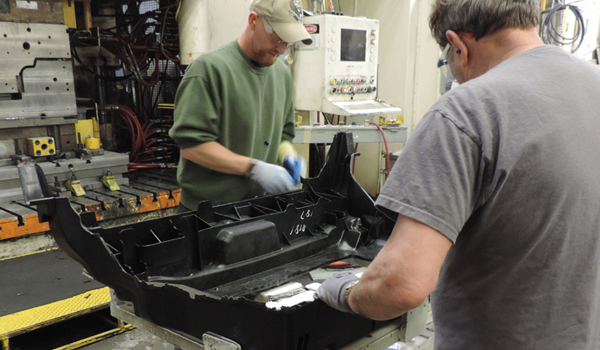 LFTs are extensively used as replacements for conventional materials such as metal assemblies, die castings, and underperforming plastics in the automotive industry. They are lightweight and enhance the performance, dimensional stability, and strength of the automobile. They also improve resistance to corrosion and offer flexibility in designs. This market research report segments the global long fiber thermoplastics market into the following applications (automotive, industrial goods, and consumer goods) and key regions (the Americas, APAC, and EMEA). Of the three major applications, the automotive segment held the largest market share in 2017, accounting for nearly 45% of the market. The market share for this application is expected to increase nearly 1% by 2022. The fastest growing application is automotive, which will account for nearly 46% of the total market share by 2022. EMEA was the leading region for the in 2017, accounting for a market share of nearly 40%. By 2022, EMEA is expected to continue dominating the market and register the highest growth, whereas the Americas and APAC are expected to witness a decline in their respective market share.